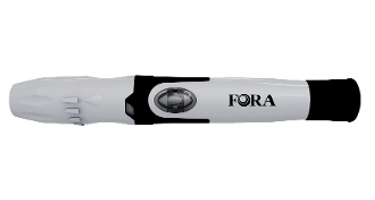 The ForaCare Lancing Device allows you to draw a simple, safe, and painless blood sample when used with the ForaCare Lancet. The ForaCare Lancing Device is design for use on the fingertip or alternative site. The point and shoot lancet ejector feature reduces the chance of infection from handling a used lancet.